Everyone knows I’m a fan of good books. Recently I was given the opportunity to read Kelli Estes’ book “The Girl Who Wrote In Silk”. Now my review is not set to post until July 7th, the books release date, but I’ll give you a hint! This is a book you want to read! 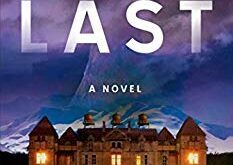 I got the extraordinary opportunity to talk with the author, Kelli Estes, about her book, the story it’s based on, inspiration, and what she has up her sleeve next. KRISTIN: What made you want to be a writer? Was it something you’ve always wanted or did it just hit you one day? KELLI: Books were my first love. They are what got me through adolescence. But the idea that I could write one never crossed my mind. In fact, it wasn’t until after college when I met a friend who told me she was writing a book that the idea took hold. Before that moment I believed writers were born with magical skills I didn’t possess, and they probably lived in far-off places behind golden gates. Until I met a “real person” who wrote, I didn’t realize the necessary skills could be learned, practiced, and grown. Once I started writing it felt so right and I knew this was what I was meant to do all along. KRISTIN: Your book “The Girl Who Wrote in Silk” is set to release on July 7th. Where did this story come from? What inspired it? KELLI: The nugget of the story came from a single paragraph in a book on the history of the San Juan Islands (in Washington State). It mentioned a smuggler who saw the revenue service cutter getting too close so he decided to get rid of the evidence of his smuggling. That evidence was Chinese people whom he clubbed on the head and dumped overboard. From there I learned why Chinese people needed to sneak into the U.S. and why someone during that time period would think of a human being as no more valuable than a bottle of liquor. The story grew from there. 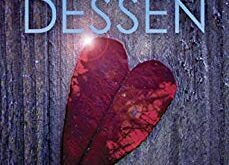 I was inspired to tell my story through both contemporary and historical eyes after reading the book SARAH’S KEY by Tatiana de Rosnay, which I loved. The hardest part was coming up with the “thing” that would tie the two time periods together. Thankfully, one of my plotting group members had an antique embroidered Chinese sleeve she’d purchased as a souvenir and once I saw it, I had my story. KRISTIN: This is a unique story. I have never read anything like it. Did you have to do much research going into writing this book? KELLI: So much research! 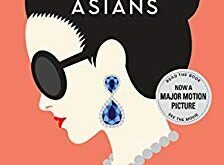 I had to learn about the Chinese Exclusion Act, the expulsion of Chinese from Seattle and other Western communities, Chinese embroidery, Chinese customs and beliefs, Chinese culture, Seattle history, food and drink of the 1880s, building practices of the 1890s, the history of Orcas Island, and so much more. It’s a good thing I like the research! In fact, at least half of the four years I spent writing this book was spent researching. KRISTIN: I hear a lot of authors who say their characters take on characteristics of those around them. Are your characters based on people you know? KELLI: Not really. Most often I use the mannerisms, and sometimes physical appearance, of a person I know but most often I use actors for inspiration. For the character of Duncan Campbell, however, I used a picture of one of my ancestors (who was Swedish!) as my “model” because when I saw his picture in my mother’s files, he looked exactly how I imagined Duncan would look. Mostly, though, my characters are their own people. KRISTIN: What do you think it is about this book people will love? KELLI: I think it’s the telling of a time in our nation’s history that many people knew nothing about – the attempted and often successful ethnic cleansing in several Western states seen through the eyes of a young Chinese girl who loved deeply. I also think people will love the setting. Just as Inara (one of my main characters) says, there really is something magical about Orcas Island. KRISTIN: Where will this book be available? KELLI: Anywhere books are sold! KRISTIN: Are you working on any other work currently? KELLI: Yes, I’m currently working on the first of a women’s fiction trilogy about three estranged cousins who practically grew up together who must overcome their differences to help one of them adjust to civilian life with a diagnosis of PTSD after serving in Afghanistan. It isn’t under contract yet, so we’ll see! KRISTIN: Where can fans find you and all of your work online? Website/Facebook/Twitter/Instagram? KELLI: My website is http://www.kelliestes.com and I’m active on Facebook at my personal page www.facebook.com/kelli.estes and my author page www.facebook.com/KelliEstesAuthor. Please sign up for my newsletter to receive updates on my books, news and events, as well as for a chance to win great prizes! Thank you for having me on #NerdProblems! This was fun! Make sure to stay tuned for my review. It will be posted on July 7th bright and early right here on NerdProbs.com. 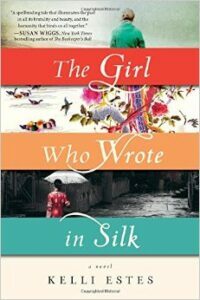 Pick up your copy of “The Girl Who Wrote In Silk” on Barnes and Noble and Amazon next Tuesday and everywhere books are sold!! Also add it to your Goodreads To Read list.